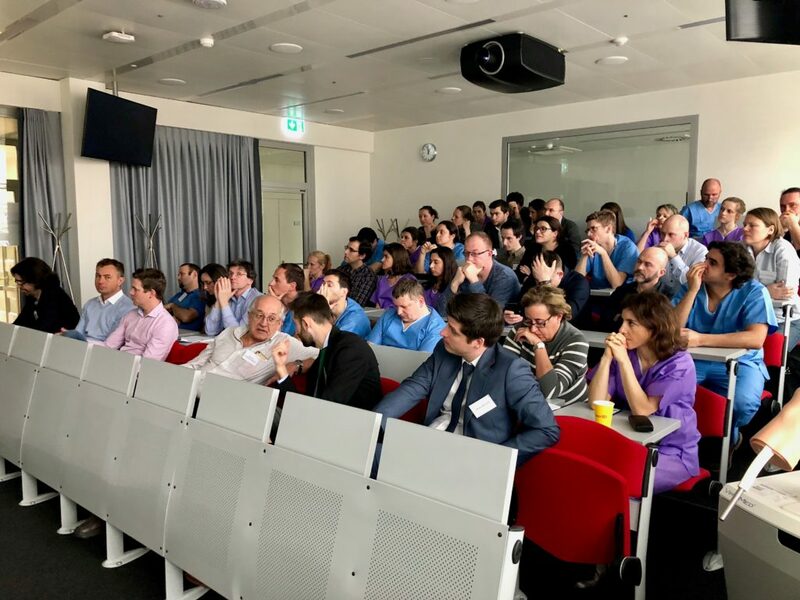 The first Cadaver EPOS Advanced Course, supported by the Chair of the EPOS Education Committee Prof Hakan Omeroglu, was dedicated to sport trauma – knee and ankle injuries in children and adolescents. 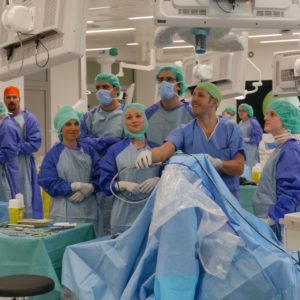 It took place on 25 and 26 January 2018, at the SWISS Foundation for Innovation and Training in Surgery (SFITS). Franck Accadbled (Toulouse), head of the EPOS sport trauma study group, was associated with Pieter Berger (Leuven), Manuel Cassiano-Neves (Lisbon), Ricardo Telles Freitas (Lisbon), Stephane Tercier (Lausanne), Marco Turati (Monza) and Pierre Lascombes. Altogether, they offered to the participants the best of education in this field. Knee: meniscal repairs, discoid meniscus, intercondylar eminence fracture, ACL reconstruction adult and children techniques, OCD (perforation, resorbable pins, mosaicoplasty), MPFL reconstruction. All these techniques were performed by the attendees on knees and ankle joints. 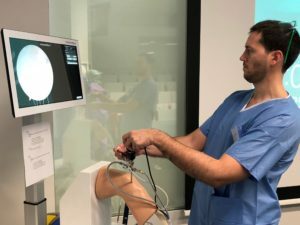 In addition, each participant had the opportunity to practice knee arthroscopy on a Virtamed simulator. The arthroscopy equipment and implants were brought by the industrial partners: Arthrex, ZimmerBiomet, Depuy-Synthes. The course was also supported by some Swiss industries, such as Curmed, Medeco, and Ambelio. The participants evaluated the course as excellent. It fulfilled the educational goals for 100% of the attendees. The quality of the WetLab was specifically outlined as the best aspect of this course by many of them. The Course has been granted 12 European CME credits (ECMEC®s) by the European Accreditation Council for Continuing Medical Education (EACCME®). A successful 1st Cadaver EPOS Advanced Course !